When you or a loved one is diagnosed with cancer, life becomes uncertain. Marshfield Clinic wanted LSB to convey the message that their oncology specialists can offer those caught up in a cancer diagnosis more than just health care – they offer hope. 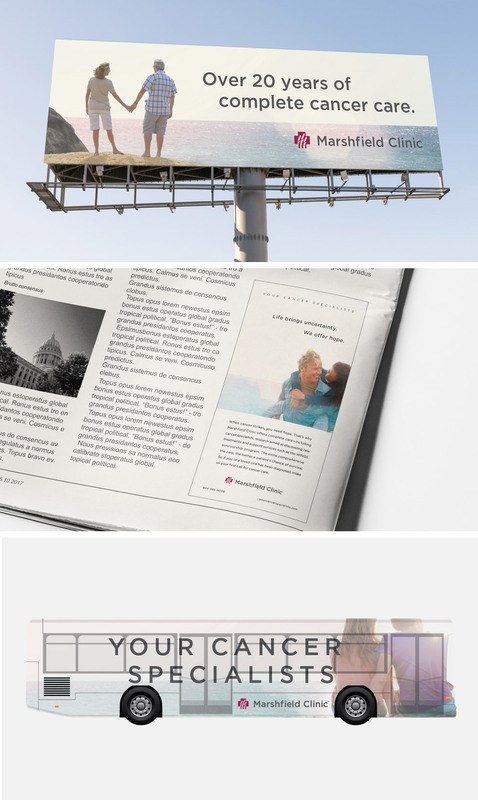 As part of their modern marketing campaign, the message went out across media from TV and digital to print and outdoor. Each media got messaging tailored to meet the needs of the channel.